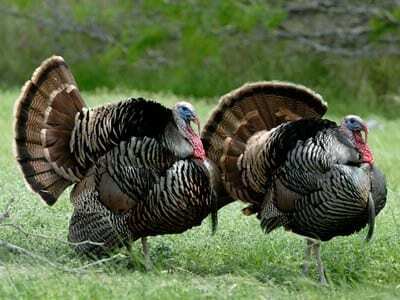 Most people don’t think about turkeys except for when it’s time to put them on their plate. With Thanksgiving and everyone gorging themselves on delicious turkey dinners, we figured we’d post a humorous video showing turkeys in a more natural state. 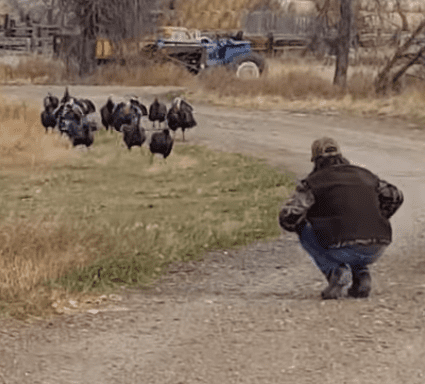 Last October, a group of domesticated turkeys had a hilarious encounter with a group of pheasant hunters. 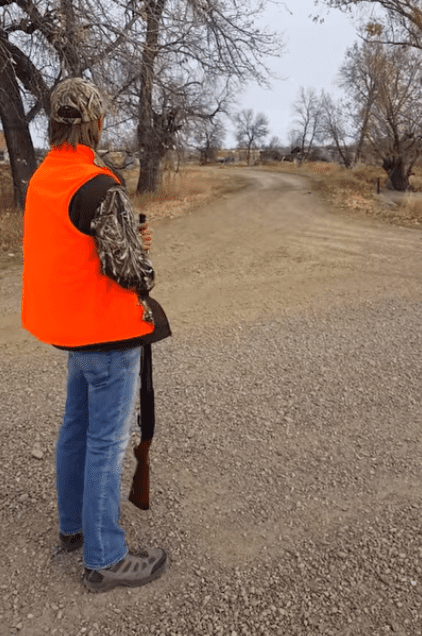 In the video, the hunter puts his hand to his mouth and lets out a series of turkey calls. 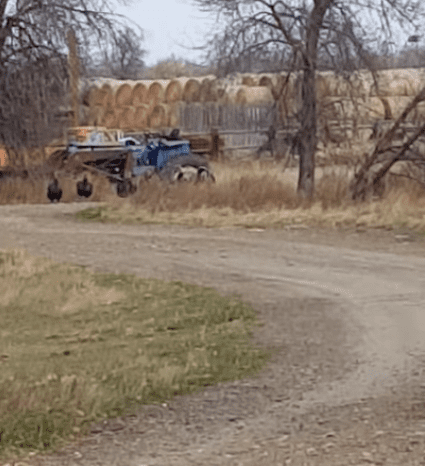 He stands at the end of a long, dirt road, and immediately, you see a group of turkeys walking towards him. The whole thing is both hilarious and weird. “Keep talking to ’em,” his friend encourages. 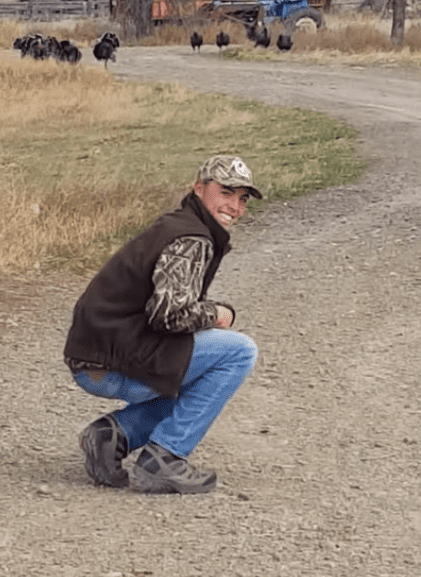 Squatting down and flapping his “wings’, the hunter hilariously becomes one with the turkeys. As he squats, the birds continue to approach him. It looks like more have added to the group. Watching the man’s bird walk is hilarious; his friends can’t control their giggles as he takes a few steps forward. At this point, I can count a dozen turkeys coming towards him. 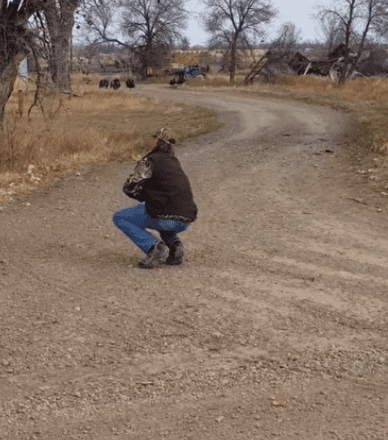 Once the turkeys finally get close enough, they realize the hunter isn’t one of their kind. It seems his hilarious bird walk may have convinced them after all. Unsure what to make of this weird-looking bird, the turkeys let out a few squawks of disapproval as the man giggles and runs away. But in the end, he can’t control himself, returning for another hilarious waddle. Since being uploaded, the video has gone completely viral. 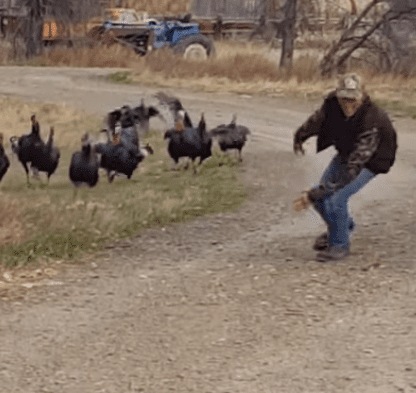 The man was dubbed the “Turkey Whisperer”, and people couldn’t help but crack up at his innocent shenanigans— not to mention the birds’ hilarious response.